The totes have been all shut and sent off. The suitcases are pretty much full and I’m into the last minute discoveries of other things I need to fit in. While we were living in Honduras my daughters told me that they could tell who the North Americans were from afar because of all the “stuff” they carried. Well, I seem to fit that mold pretty well. But I am bringing some wonderful things. Bible curriculum written for those with special needs, learning manipulatives, games, adaptive devices and many beautiful children’s books in Spanish. 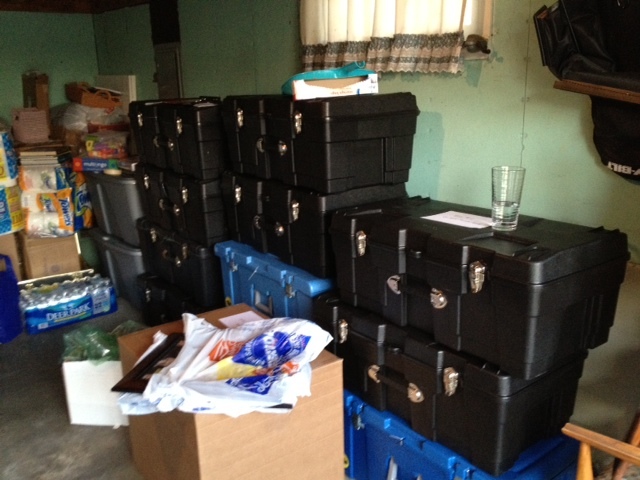 17 large boxes were sent off on Monday and I am excited to have those resources down there. Steve and Delores Garing and Crystal Marks are accompanying me on this trip. I’m looking forward to sharing my other country with them and so thankful that they are there to help me with the move.